This makes a story of SCP-953 before contained by the foundation as a stem, and a story of a pre-modern state agency similar to the foundation as another stem. Numerous branches and twigs flourish between those two stems. About five hundred years ago, we had already recognized their existence. Every foreign body can be divided into four categories. First, Goei(괴이, 怪異). Second, Yongnyeok(용력, 勇力). Third, Paeran(패란, 悖亂). Fourth, Guisin(귀신, 鬼神). A City buried beneath sticky fog, a gradient where realities and phantasms meet each other. What made you come here, and what did you see before you leave? In early morning, or at dawn, Feeling grandma's getting up make rustling noise, I also woke up. I asked grandma where she was going, but grandma never answered nor looked behind. Grandma had disappeared into sticky morning fog of Mujin. Being frightened, I ran toward the direction grandma had headed, even without shoes. Lay thine hand upon her, remember the battle, do no more. Behold, the hope of her is in vain: shall not one be cast down even at the sight of her? I feel the weight of lead nailed to my heart. Only then did I realized who I am. 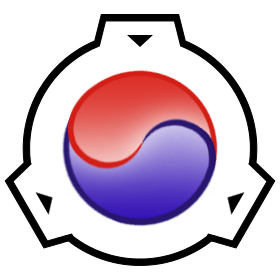 The Korean wiki in this wiki is officially represented by Salamander724.